The website is well arranged. Prices are very competitive and delivery quick. Product arrived within 2 days, Just added the acid and fitted to bike. breather outlet was on the opposite side but not a problem as breather tube was long enough. 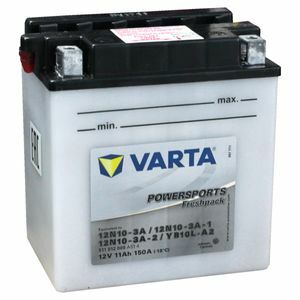 very efficient service, this is the second battery I have purchased from Tanya and so far very good Service with no Issues at all. I wanted a new battery ! So I phoned up and bought one ! Easy as that. Arrived as promised, easy to fill and worked first time. the battery sent had different terminals and i was told that they did not make the battery with the square terminal block on any more so had to adapt new one. cant see why they would change a battery if the bikes are set up for original "daft"